How to Cook Skirt Steak using Grill, Oven, Pan, Slow Cooker etc. Skirt steak is a tricky cut for many. It requires some knowledge if you want to properly cook it. 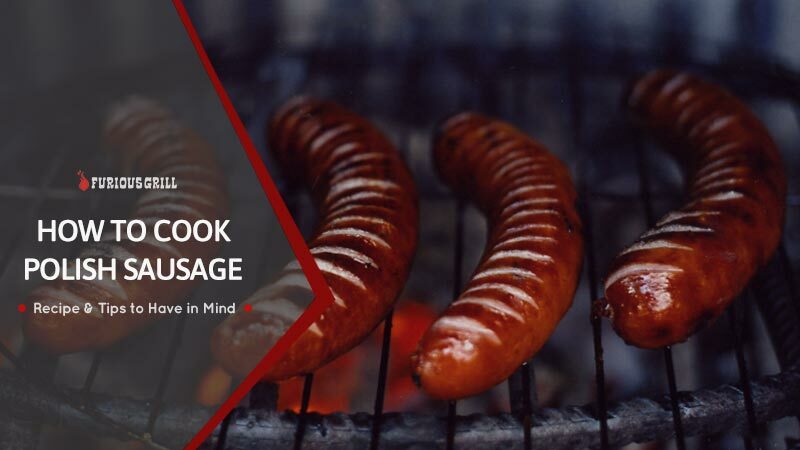 Even though it comes as a thin cut and you may think that just putting it on the grill is enough, it has lots of connective tissues and properly cooking it will require a little bit more than that. After several emails and requests from different readers, I decided to put together an all-around guide on how to cook skirt steak on grill, oven, pan and any other cooking methods. I will try to cover everything you should know about this cut of steak, so I suggest you to use the quick navigation table of contents below to quickly jump to your preferred section. 1 What is Skirt Steak? 2 Where is Skirt Steak Located? 8.1 How Long to Cook Skirt Steak in Grill? Skirt steak is a very flavorful cut of beef, which is ideal for grilling, even though it has lots of connective tissues. It has a long, flat shape and is better known for its flavor rather than it tenderness. Where is Skirt Steak Located? Skirt steak comes from either of two separate muscles inside the cow’s chest, below the ribs, from the section widely known as beef plate primal cut. The section is separated into two muscles, the diaphragm muscle or outside skirt and the transversus abdominis muscle, or the inside skirt. The outside skirt is located to the chest wall, diagonally from the ribs and is covered with a thick membrane. It is plainly visible on the beef carcass in a long, diagonal shape attached to the chest wall and is called outside because of its location to the outside of the body wall. The inside skirt is located below the outside skirt and within the body wall itself, that’s why it is called ‘inside’. It lies flat across the lower part of the ribs and extending beyond them, with a portion of it going into the beef flank primal cut. That’s why a lot of people mistake the skirt steak and flank steak with each other. They are both different cuts of steak and are both located next to each other in the bottom side of the cow’s belly. Both the inside and outside skirt steak are very similar to each other; they are long, flat muscles with very thick grain and flavorful taste. Outside skirt is a bit thicker and has a more uniform shape than the inside skirt. They are both long and flat pieces, up to 24 inches long. Before cooking the outside skirt, you have to remove the membrane if the butcher has not already removed it for you. This cut of steak has a good amount of fat and is very flavorful and moist when grilled, but any other cooking method will also make it taste great. When it comes to picking cooking supplies, most of the people avoid cooking meat as it tends to be expensive. They usually go for a quick and cheap solution which will not cost them a lot of money and time to prepare and skip cooking expensive cuts such as wagyu beef. As for skirt steaks, the price may vary depending on the store and by the number of pounds that you purchase. There are even some places who have a minimum of $30 that you can spend on skirt steak. While the price is not fixed for this cut of steak, one thing is for sure, that you will get the greatest dollar-to-flavor ratio. It is simply a cut not to like if you cook it properly. It doesn’t matter if you are going to grill or cooking it in the oven, you have to first prepare the skirt steak before starting. For maximum flavor, look for a piece rich in fat layers. Once you trim off the upper-fat layer, underneath it, the meat will be quite lean but marbled with a few small channels of fat, which will make the cut taste great once it is cooked. The first thing you have to do is remove the membrane if the butcher has not already removed it. Use a thin knife and carefully remove it slowly without removing chunks of meat with it. After you clean the steak, the next thing you have to do is to cut it into workable portions. The skirt steak comes as one long, thin strip and the best thing to do is to cut it into smaller pieces. This is very useful especially if you plan to cook it on a pan and it isn’t big enough to accommodate the whole piece. Also, cutting the meat into equal portions will make the pounding easier later on. If you like to tenderize the steak a little bit, you can cover it with a plastic wrap and use a meat tenderizer or hammer to pound the steak to even thinner pieces, about ½ inches thick. A lot of skirt steak recipes suggest marinating the meat before cooking it, especially if you are going to grill it and because of its looser structure, it will absorb the marinade flavors quite well. Remember that if you want to tenderize your steak, try a simple tenderizing method. Marinating doesn’t tenderize it and only helps to make it more flavorful. Marinating the steak depends totally on your preferences so you can combine only the ingredients you like. The same thing applies for seasoning; Choose a rub which works with the dish you are preparing or just go with the salt and pepper classic instead. The most used seasoning includes citrus, vinegar, mustard or olive oil. Also, any marinade made of beef will taste great too. As for common rubbings, you can use just salt and pepper or go with cayenne pepper, cumin, garlic or lemon. After you decide on your rub and marinate, mix all the chosen ingredients together and cover the steak with it by placing it in a covered plastic container for 1 to 24 hours to enhance the flavors of the meat, depending on your preference. After you have prepared the meat, now it is time to start the cooking process. We are going to explain the step-by-step process for several cooking methods including the oven, grill, sous vide etc. In the next section, we are going to show you how to cook your skirt steak in the oven. Step 1: Start by preheating the oven to 450°F and placing in it an empty pan or skillet, large enough to fit all your meat cut. Step 2: After the oven has reached the recommended temperature, remove the empty pan and spray it lightly with olive oil. Place the steak in the pan and place it again in the oven for about 6 to 9 minutes, depending on your preferred steak doneness level. After that, flip the meat to the other side and cook it for half the time you cooked the first side. Step 3: After the meat has reached the recommended internal temperature, remove it from the oven and serve it with some salad and French fries. Note: Please keep in mind to test the internal temperature of the meat with a food thermometer. The minimum recommended consumption temperature for meat is at least 145°F. Anything lower than that can cause you food-borne illness even though a lot of people prefer to go lower than that due to meat being more tender and juicy. Grilling a skirt steak will not take long either. You will need about 15 minutes of your time, from which 5 minutes to prepare and 10 minutes to do the actual cooking. As I mentioned before, the seasoning and marinating ingredients totally depends on your preference. I always like to go for the classic salt and pepper seasoning with an optional 1/8 teaspoon of cayenne but you are free to choose what you like. Step 1: (Optional Step) If you haven’t done any seasoning, place the salt, pepper, and cayenne into a small bowl and mix them well together. Sprinkle them all over the steak and let it sit for 30 minutes to 24 hours before you grill it. Step 2: Prepare your grill by making sure that the grates are all clean and oiled up, ready to be used. If you have cooked other type of food on the grill before, such as fish or seafood, it is better to make sure that the grates are deep cleaned overwise the steak may get mixed flavors from the previous debris found on the grates. Step 3: Turn on your grill on high heat and wait for it to preheat. Step 4: Place your steak on the grill and don’t move it until that side is completely cooked. You will know when it is ready to be flipped because the meat will release itself from the grill. This can take around 3 minutes for each side for a medium doneness level, 2 minutes per side for rare steak and around 4 minutes on each side for a well-done steak. If you want, you can precisely test the internal meat temperature using a food thermometer. Step 5: Once the meat has reached the temperature you want, you can remove it from the grill. Place it on a plate or bowl and cover it with loosely foil and allow it to rest for about 5-10 minutes. This resting time will give the meat the chance to finish cooking itself and allow all the juices to flow through the entire meat cut. Step 6: After the meat has rested for about 10 minutes, you can go and cut it using a sharp knife. Always remember to cut against the grain and serve it either as hot or room temperature. The skirt steak is so rich in flavor that even a cold serving will taste great but if you want the best results, a warm serving is the way to go. To finish up, you can add a small dollop of butter onto the top of the steak to drive those taste buds crazy. How Long to Cook Skirt Steak in Grill? For about 2 to 5 mins on each side, depending on the doneness level you prefer. For a rare steak, grill it for 2 min on each side, for medium, you should grill it for 3 min on each side and for a well-done steak, 4 min on each side is recommended. Skirt steaks are usually grilled at three different ranges of temperatures: medium, rare or medium rare. We don’t recommend grilling it at a well-done temperature as it will destroy this cut’s full potential. For rare doneness, aim for a temperature range of 120-125°F. To get a medium steak, remove it from the grill between 125-130°F. And if you want to go for a more well-done level, aim for a range of 130-135°F. When you are cooking a skirt steak in a pan, there are two simple rules: cook it at high heat and cook it quickly. Because the skirt steak is quite thin, it can easily become overcooked, so a quick searing on the outside and making sure the meat isn’t overcooked inside is important. Step 1: Heat 2 teaspoons of cooking oil in a pan over the stove. Step 2: Lay the skirt steak in the pan in one layer and cook it 3-4 minutes on each side. Step 3: (Optional) Brush the meat with an extra marinade or the cooking oil from the pan. Step 4: Remove the steak from the pan and let it rest for about 5-10 minutes for juices to settle in before slicing it. Also, remember to always slice the meat against the grain. This way, the meat will not become chewy and will taste better. If you want to go for a more un-usually cooking method, then you should try sous vide skirt steak. Step 1: Set your sous vide cooker at 132°F (55°C). Step 2: Season the steak with salt and pepper and place it in its own zipper lock or vacuum seal bag. Seal the bags and place them in the water bath for 7-9 hours, depending on the thickness of your steak. This guide is referred to a 1 ½ pound cut of meat, sliced into two pieces. Step 3: After the timer goes off, remove the bags from the water and pat dry the meat with paper towels. At this point, it’s recommended to rub the meat with olive oil. Step 4: Heat a cast iron skillet over high heat and cook/sear the steaks until they get brown on both sides, around 1 to 2 minutes per side. After that, let it rest for about 5 minutes before slicing and serving. In order for you to cook a skirt steak in a slow cooker, you will need a total of 15 minutes of preparation time and about 8 hours of cooking time. Step 1: Season the meat with salt, pepper, and any other preferred ingredient and place it into a slow cooker. Step 2: Set the setting to High and cook it for 4 hours. After 4 hours, turn the steak in the other side and press down into the liquid and continue cooking until a fork easily passes through the meat, usually for another 4 hours. Season Well; The classic Salt and Pepper will do the job if you don’t want to use any other ingredients. Heat is important; You should always preheat your pan or grill before using it. With skirt steak, the rule is simple: High heat, quick cook. Cook 2-5 Minutes per side, depending on your preferred doneness level. Let it rest; Always let the steak rest after cooking, so the juices settle and have time to redistribute all over the meat. Always slice against the grains for a non-chewy and tender bite. Skirt steak can be a tricky cut of meat to cook in your home. Thanks to its unique & delicious flavor, it is still a very popular cut of meat used for several recipes such as tacos, burritos, fajitas, Philly cheesesteak, sandwiches etc. even though it has lots of connectivity tissues. A lot of people decide to cook this type of steak in the oven or using a pan but the best way to cook is grilling it over high heat for a short period of time. 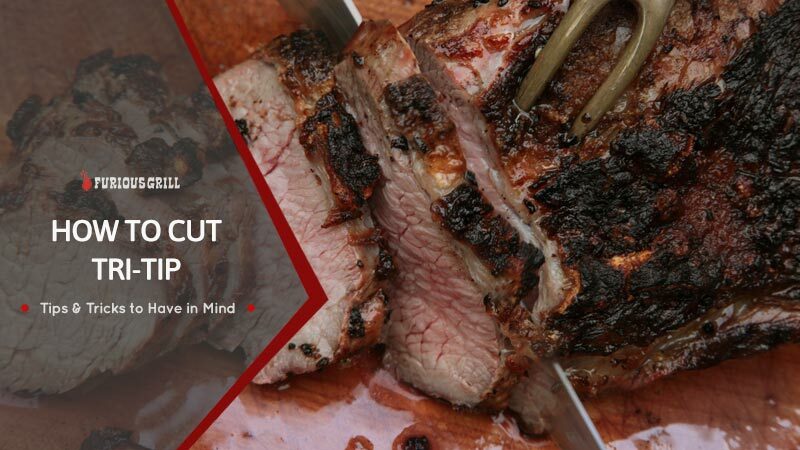 This cut is not like any other traditional cut of steak. It has lots of connective tissues and is pretty thin, so high heat grilling is the best possible way to enhance the flavors and make it tasty and tender.